The security forces’ requirements to secure Baghdad amid protests and prepare for the Fallujah operation have provided ISIS with an opening to expand its attacks within Baghdad and the Baghdad Belts surrounding the city, a historical support zone. ISIS has launched spectacular attacks against civilian targets in the predominantly Shi’a Shaab and Sadr City areas of Eastern Baghdad, with major attacks on May 11 and 17. It also launched attacks in the towns of Balad and Dujail in Salah al-Din Province on May 13 and May 22 and expanded its capabilities in southwestern Diyala Province. The latter expansion motivated a major clearing operation by the ISF and Popular Mobilization that reportedly resulted in the largest security force presence in the province since 2008. The start of operations in Fallujah thus comes at a time when security forces are already stretched thin in operations to maintain security in Baghdad and the Baghdad Belts. Fallujah is an icon of ISIS and of al Qaeda in Iraq (AQI) before it. The Iranian-backed proxy militias have long pressured PM Abadi to prioritize Fallujah over Mosul, presumably both for symbolic reasons and because practically it is relevant to the security of Shi’a populations and a de-facto likely forward line of Iranian-backed troops. The proxies likely convinced PM Abadi to launch the operation in response to the uptick in attacks on Shi’a civilians by ISIS. The pressure on PM Abadi from Iranian proxies explains why the operation contradicted the U.S.’s strong desire to focus on Mosul and other operations before turning to Fallujah; Operation Inherent Resolve spokesperson Col. Steve Warren stated on May 14 that there was “no military reason” to recapture Fallujah at the moment. Iraqi Shi’a militias, including Iranian proxy militias, are playing a major role in the efforts to encircle and hold the outskirts of Fallujah. Shi’a militias, particularly several affiliated with the Islamic Supreme Council of Iraq (ISCI), had maintained forces in the areas north and northwest of Fallujah prior to operations, and Iraqi Shi’a militias associated with the Iraqi Shi’a religious establishment (Hawza) have deployed forces to the area as well. This force build-up was coupled with heavy deployment from Iranian-backed Shi’a militias including Kata’ib Hezbollah, the Badr Organization, and Harakat al-Nujaba in the week leading up to the operation. Qassim Suleimani, the head of the Iranian Revolutionary Guard Corps– Quds Force (IRGC-QF), visited an operations command in Fallujah for the Popular Mobilization prior to the operation’s launch and spoke with senior Iranian proxy militia leaders, including the Badr Organization’s Hadi al-Amiri; Nujaba Movement’s Akram al-Kaabi, a U.S.-designated terrorist; and the Popular Mobilization Commission (PMC) deputy chairman and another U.S.-designated terrorist, Abu Mahdi al-Muhandis. Suleimani’s presence underscores Iran’s prioritization of operations in Fallujah. Iran’s proxy militias have pushed for the ISF to launch an operation to recapture Fallujah and its environs since April 2015, when senior figures stressed the need to recapture Fallujah before recapturing Ramadi, which fell to ISIS on May 18, 2015. Iranian proxy militias do not have the capabilities to recapture a major urban center like Fallujah, however. Previously, they struggled to recapture any terrain around Fallujah – a Badr Organization-led operation in July 2015 to recapture Saqlawiyah, located at Fallujah’s northwestern entrance, failed badly and resulted in the deaths of three senior Badr Organization members, including its head of operations. The presence of proxy militias in Fallujah has surfaced the risk of sectarian violence by militias on the Sunni population, especially if the militias enter the city proper. Such sectarian attacks occurred following the recapture of Tikrit in April 2015. A spokesperson for Nujaba Movement, an Iranian proxy militia, stated prior to the start of the operation that the group’s objective of entering and clearing Fallujah was “completely irreversible.” However, the head of the Joint Operations Command (JOC), Talib al-Shughaiti, reaffirmed on May 25 that the Popular Mobilization will not enter Fallujah. Senior Popular Mobilization and Badr Organization leader Hadi al-Amiri confirmed this position, stating on May 26 that the process of clearing the city would be left to the CTS and the Emergency Response Division (ERD). In addition, the representative of Grand Ayatollah Ali al-Sistani, Abdul-Mahdi al-Karbalai, urged restraint during the Fallujah operation, calling for security forces to respect civilian lives and not to be “extreme” or “treacherous.” Sistani’s statement reflects his concern with killings of the area’s Sunni Arabs by security forces and the stability of the area once it is secured. Fallujah’s Sunni civilians face grave risk both during and following the operation. Many of Iraq’s Shi’a harbor ill sentiment towards Fallujah due to its longtime anti-government reputation and after many of its residents welcomed ISIS into the city in January 2014. Iraqi Shi’a militias may thus engage in extrajudicial killings against civilians if they flee towards militia-held areas. A member of Kata’ib Hezbollah (KH), one of the most lethal of Iran’s proxy militias, even stated on February 1 that “80 percent” of Fallujah’s residents were with ISIS, providing potential justification to punish, and ultimately kill, civilians from Fallujah. Most civilians currently appear to be fleeing south out of Fallujah towards Amiriyat al-Fallujah and the Euphrates River’s southern bank, however. ISF and Sunni tribal fighters currently hold this area, though Nujaba Movement maintains a presence. Widespread proliferation of Iranian proxy militias in the predominantly-Sunni environs of Fallujah will accelerate sectarian violence and proxy control, over which civilians can return to their homes. Instability caused by sectarian violence and internal refugee crises on the border of Baghdad will flood into Baghdad and detract from efforts to secure the Baghdad Belts. There are Iraqi Security Forces involved, and they may mitigate some of the grave risks to the civilians. Operation Breaking Terrorism is headed by Maj. Gen. Abdul-Wahhab al-Saadi, the former commander for Salah al-Din Operations Command. Saadi had insisted on the need for Coalition airstrikes during the operation to recapture Tikrit in March 2015 – a viewpoint that infuriated Iranian proxy militias, who refuse to participate in operations with Coalition airstrikes, and contributed to Saadi’s removal from his position. Saadi’s appointment to the Fallujah operation underscores the determination of PM Abadi to set the parameters of the operation, rather than fully subordinate it to the Iranian proxies, which are trying to drive it. The Ministries of Defense and Interior have provided significant forces to the Fallujah operation. There are as many as 20,000 Federal Police offices and detachments of at least five Iraqi Army Divisions operating in Fallujah – of at least four of which are on the northern bank of the river, and at least one other on the southern side towards Amiriyat al-Fallujah. These ISF detachments are supported by tribal fighters, including members of Fallujah-based tribes and more established Sunni Arab formations within the Popular Mobilization. 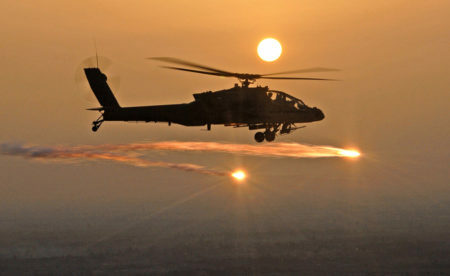 The ISF’s leadership in the operation has allowed the U.S. to provide airstrikes in support of ISF advancement, though Col. Warren reported that airstrikes will not support Shi’a militias. This distinction between support of the ISF and the Popular Mobilization will likely prove difficult given the tight coordination between both forces on the ground. Should the ISF, rather than the proxy militias, secure Fallujah and ensure that ISIS cannot reconstitute its capabilities there in the future, security in Baghdad may increase for a time. ISIS’s control over Fallujah provided them a staging platform from which to launch attacks in Baghdad. Removing this capability would further secure the capital and continue the ISF’s effort to extend control up the Euphrates River Valley. The force requirements to hold Fallujah long-term could undermine the effort to maintain security in the capital, however. Ongoing protests and ISIS’s accelerated campaign in Baghdad could exacerbate this pressure on security forces and draw forth Sadrist militias. As ISIS is expelled from Fallujah, neighboring areas will need to heighten security measures in anticipation of ISIS retaliatory attacks, which often follow loss of terrain. Baghdad’s protection from ISIS attacks might increase. The operation can set back overall efforts to reconcile Sunni populations if the proxies, ISF, or Popular Mobilization harm the civilian population as has occurred in Diyala or Jurf al-Sukhr. Patrick Martin is a Research Analyst at the Institute for the Study of War where he focuses on political and security developments in Iraq.